Contact for Stetsun Traveling Squares, also teach for the group. 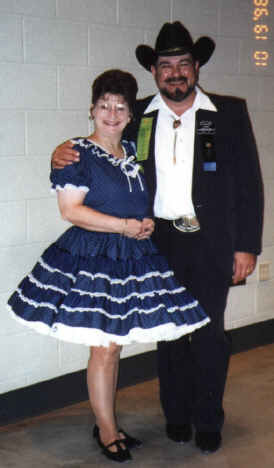 we are not a club,started calling in 1987, I'm a full member of Callerlab, also Indiana Square Dance Callers Assoc. Have headed sound for our Indiana State Convention many times. Will go almost any where to call a Square Dance. I'm very upbeat and believe in having fun at the dances I call. "KEEP THE FUN IN DANCE IS MY MOTTO"